Global health and science are Multinational. 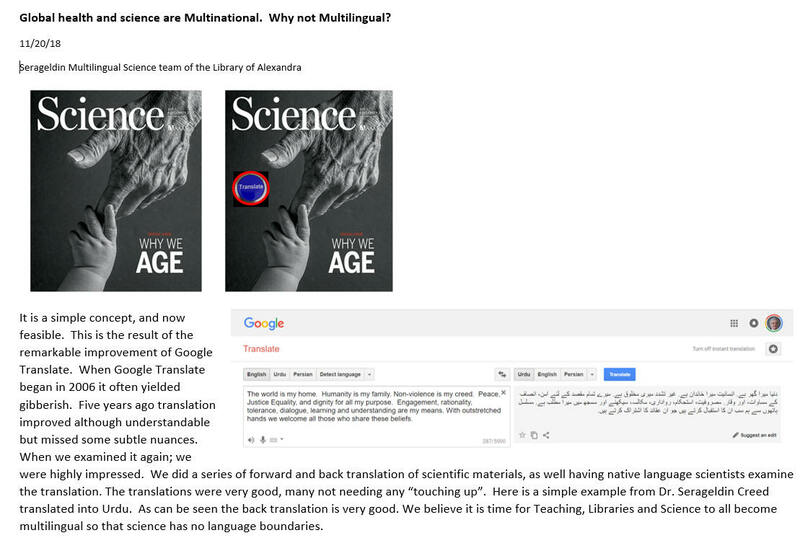 Why not Multilingual? There are 6500 languages in the world, but only one language of science, English. The Library of Alexandria and Scientists in Developing countries aim to change this. 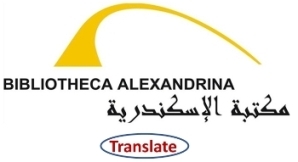 The Library of Alexandria is ushering in a new era of multilingual science. Reducing the burden of translation, indeed promotes openness and scholarship. “We build too many walls and not enough bridges” (I. Newton) One of the major walls of science is one of different languages. We are writing to you with a simple idea. 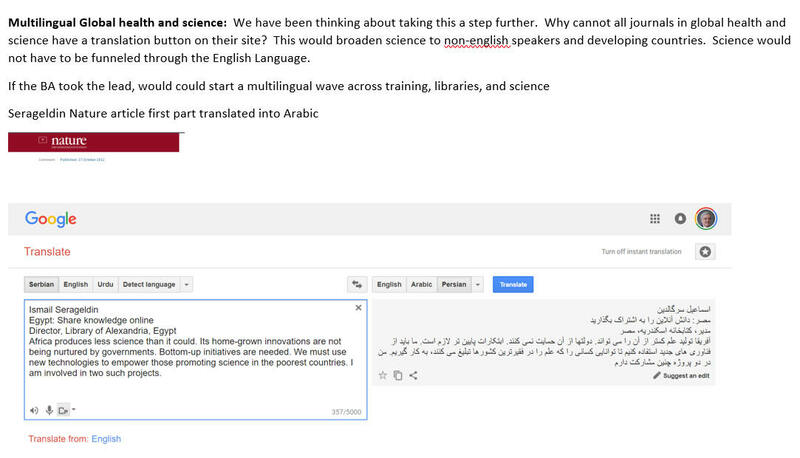 In 2006 Vint Cerf (the father of the Internet) told us about Google translate, and we were excited to build a language translator into our Supercourse, and the Library of Alexandria. However, much of it produced was Gibberish. We tried again five years ago, and Google translate captured the “gist” of the materials, however, it was still a bit messy. In the past few months we have seen a major improvement in translation capabilities with a new approach called Google Neural Machine Translation which produced marked improvement in accuracy, and we feel is now acceptable to build multilingual science world wide. We propose to establish a beta version of a translation button to be made available to all journals for free. We would capture metrics of usage, and concerns of translation. We would like to have you join, We are planning a 6 month beta version, after which we will decide whether to continue.